How Is Solar Energy Cost Determined? The size of a solar power system contributes to the cost of solar energy. A house with solar panels. 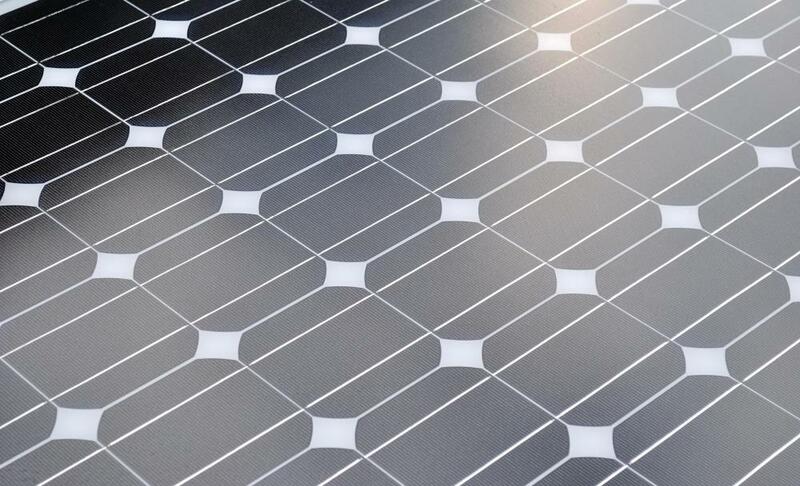 A closeup of a solar panel. Solar energy cost is determined by the size of the solar power system, the amount of energy hours produced, and the amount of government incentives and rebates. Larger solar energy systems will typically cost more for installation and will use a larger amount of electricity. Various rebate and incentive programs exist that can help offset the costs of system installation and energy conversion. 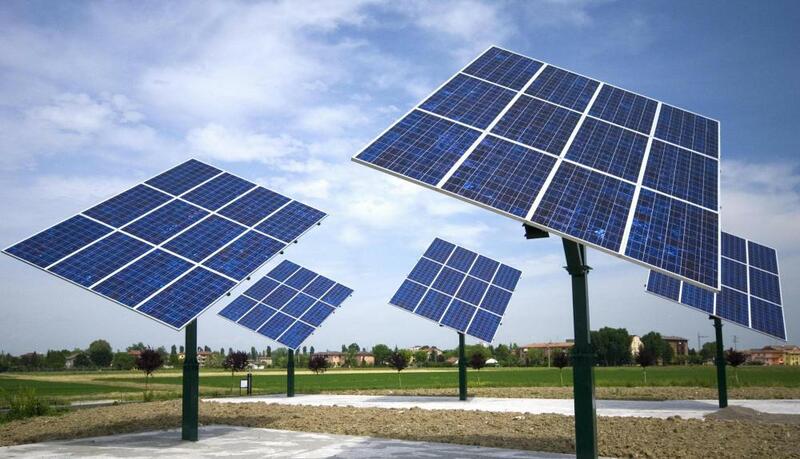 The largest solar energy cost is the installation and maintenance of the solar panels. A solar power system basically takes captured sunlight from the panels and coverts it into electricity, which is delivered through an electricity panel and into the building's existing electric wiring. Meters keep track of the building's electricity use and how much of it comes from solar energy. In the United States, electricity use is typically measured in kilowatt hours. Electric companies typically have a predetermined rate per kilowatt hour that they charge their customers. Additional fees and surcharges may be included in the total bill; however, the amount of kilowatt hours used is the primary means of calculating the cost. Solar energy cost is largely determined through the use of kilowatt hours as well. Meters are read to determine the amount of energy used within a given time frame. There may be special rates for kilowatt hours that were generated through the use of solar power. Some local jurisdictions and governments offer production incentives to reduce solar energy cost. These incentives make it more cost efficient for a building owner to install a solar power system since the kilowatt rate is often substantially lower than that of standard electricity. Unlike standard rates, the rate charged for solar energy may remain relatively stable. 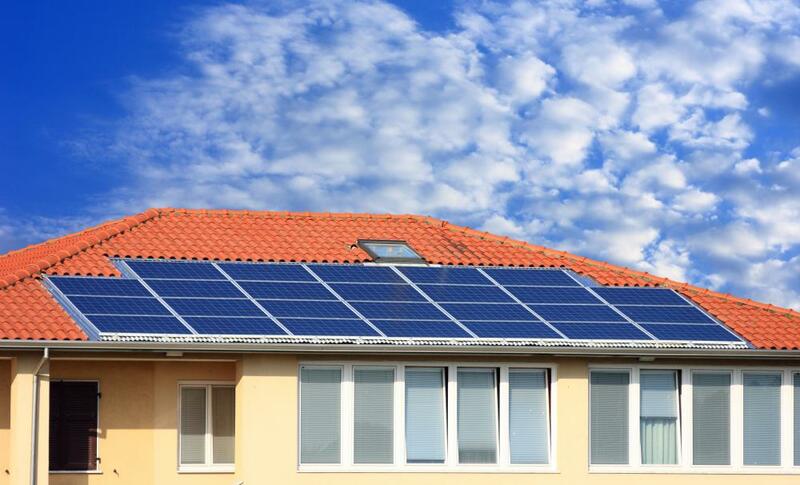 Rebates are usually available for building owners who wish to install solar power systems. This is an additional savings tool that can help offset solar energy cost. As these systems require a substantial outlay of cash, the rebate puts those funds back into the owner's hands. The overall installation cost is reduced and owners may be able to reap the long-term benefits of avoiding utility rate increases. The size or amount of solar panels that will be needed to support the building's electricity needs is one of the main cost determinants. Usually, a larger building will require a larger system than a smaller structure. Some building owners choose to convert just a portion of their electricity needs from solar power and are able to get away with installing a smaller system. What Is an Outlay Cost? What is Involved in Solar Energy Installation? What are the Solar Energy Pros and Cons? How does Solar Energy Efficiency Compare to Electricity? What are Solar Energy Systems? What are the Different Types of Solar Energy Products?